Real Madrid made their interest in Tottenham Hotspur manager Mauricio Pochettino known last summer. The club had just seen its Champions League winning manager step down days after lifting the European Cup. Pochettino was eyed as the man to take over for the Frenchman, but his new Spurs contract put off the Spanish club from paying compensation. Manchester United were also at a crossroads. The Red Devils were going into Jose Mourinho’s third season at the club, which ultimately turned disastrous with the manager being sacked in December. Had Ole Gunnar Solskjaer not succeeded, Pochettino would be still at the top of their manager wishlist. Tottenham could have lost Pochettino to either club. Both wanted the Argentine to take over the reins and lead their teams into the future. If Pochettino was to leave Spurs, he would have waited until the upcoming offseason. But now, with both Real Madrid and Manchester United hiring managers for the future, Pochettino is set for a Tottenham stay. 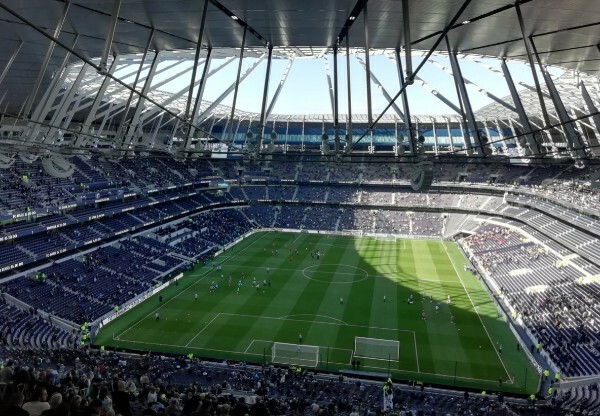 Although there could be options in the summer to move clubs, Pochettino is poised to lead Tottenham into a bright future complete with a sterling new stadium. Pochettino is in his fifth season at Tottenham. He has turned Spurs into one of the more exciting teams in the Premier League. The manager is making supporters dream as Spurs go into the quarterfinals of the Champions League. The Premier League title may be out of reach this season, but Tottenham have been close during Pochettino’s reign. Tottenham’s current four-match winless run in the Premier League is a reflection of their lack of transfer spending. The club has failed to bring in fresh talent as players have left for pastures new. Pochettino has done what a good coach does, which is to work with the players at his disposal to get the most out of them. It is the complete contrast of former Manchester United manager Mourinho who never seemed happy with his players and was ready to spend large sums rather than develop his stars. Tottenham are not far away from challenging for the title. A few signings to strengthen the squad and Spurs will be battling for the championship. With a fantastic new stadium that is the envy of the Premier League, Tottenham are poised for a bright future at the New White Hart Lane.